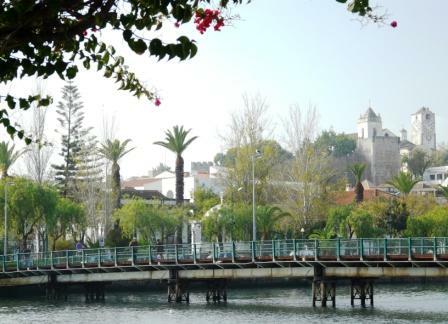 In Tavira the Café Anzu, overlooks the River Gilao, rhythmic Latin sounds oozing from the sound system above your head. You sip your café con leite grande and savour the sweetness of the Bolos Arroz cake. From here walk along the riverside road towards the Porte Romana, one of four bridges over the river, providing a good vantage point to survey the town. 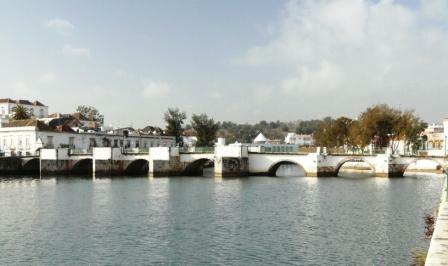 Tavira has to be one of the best places on the Algarve. It was granted “city” status by King Manuel I in 1520. Don’t take this to mean that it is a large urban sprawl. 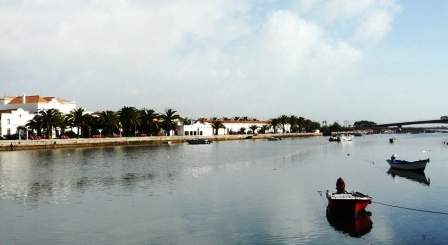 Tavira is a fairly small, but bustling town where the historic industries of fishing, salt and olive oil production continue. It has sixteen churches, a castle, city walls and archeological evidence dating back to the Phoenicians. The City is a great cultural center. As well as several museums, it has a very strong music academy, which each Saturday evening organizes “Music in the Churches” with piano, guitar and quartet recitals. There is a theatre and two cinemas. The modern Municipal Library is housed in the old town prison building. It has free internet access and the best and cheapest café in town. Remarkably, the town doesn’t possess any traffic lights, which are apparently unnecessary given the convoluted one way system and maze of small cobbled streets, but the traffic seems to flow just fine. The white washed buildings huddle together seemingly in an attempt to hold up the numerous derelict properties that are often concealed behind apparently sound facades. A peek through the half open shutters reveals rotting floor and roof timbers, vegetation and general rubbish. 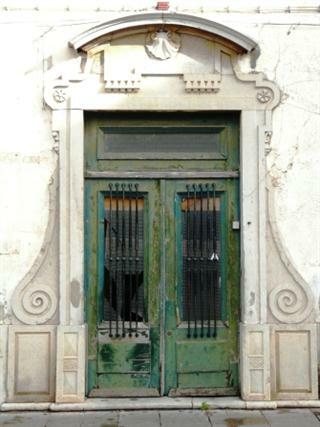 There is a great temptation to buy and renovate these buildings, restoring them to their former glories. The roof tops of Tavira are of an unusual hip construction, gently splaying to the eaves and formed from natural terracotta tiles giving the vista across the city a real warmth. The River Gilao starts as a trickle up in the hills to the North, winding its way down to the Algarve coast. It divides Tavira in two and then flows through the salt pans before emerging at the Ilha de Tavira; one of a series of long and wide sand bars that run some 15 kilometers parallel to the coast as far as Faro. From the bridge you descend the half dozen stepped seats, which curve to make a small amphitheatre seating area on the river side of the Placa da Republica, with the archways of the municipal offices to the left. 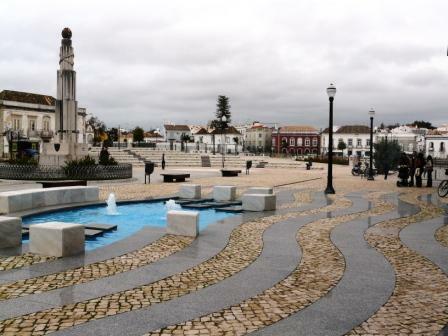 The pedestrianised area is finished in the same cream coloured limestone cobles that are used throughout the town, much the same as in Lisbon. Around the perimeter are pavement cafes, boutique shops selling up market clothing, shoes and magazines. In front of the arches, a fountain plays on the surface of a modern, curving pool with stepping stones, where the children paddle on hot summer days. A street seller serves a couple with bags of roasted chestnuts as the smoke from his burner drifts aimlessly, choking the drinkers in the cafes on the other side of the square. Crossing the square diagonally you pass along Rua Alexandre Herculano arriving at a small roundabout, which seems to be a central point for all of the traffic going through Tavira. On one corner a small Pasteleria; punters sit at tables, people watching. On the other side the monstrous Antonia Pereria cinema building, built in a time when no thought was given to making buildings fit with their surroundings. Make your way along the Rua D. Marcelino taking you down to the Gilao Hotel and thence to the new covered market, which is open until about 2-00pm and has a wonderful availability of fresh fish and vegetables. The Ecovia cycle route runs 210km from Sagres in the West, along the Algarve coast to Villa Real San Antonio at the Spanish border. It is an easy ride along unpaved tracks and side roads, across relatively flat farm land and through the white washed towns and villages dotted along the coast. It passes through Tavira from where we rode as far as Villa Real San Antonio (at the Spanish border) and also in the opposite direction to Fuzeta. It is well sign posted, although at Altura it abruptly stopped with no indication of where it went. We managed to pick it up on the other side of the town, with some difficulty. 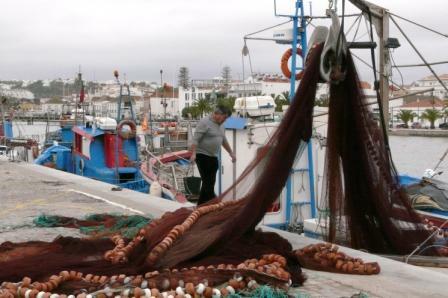 There is a web site www.ecoviasalgarve.org, but it is only in Portuguese. There are a number of companies that offer self guided or accompanied rides along the Eco Via or on other mountain bikes routes in Portugal. To the North the terrain is very hilly although at its highest it is only about 500 meters above sea level. It is a great area for mountain biking in the cooler months with lots of off road tracks, although they are not well mapped. One day we cycled to Cachopo, about 45km inland, which lies on the Roue de Pao (bread trail). 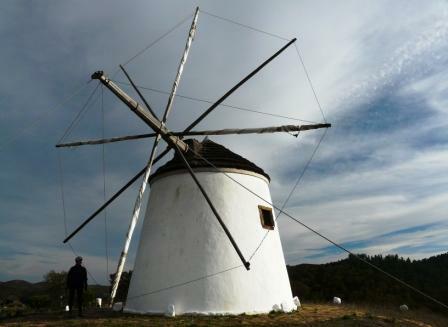 Along the route are a number of preserved windmills. Cachopo has a particularly good specimen. After a great local lunch (18 euros for dish of the day, wine, bread, etc for two) it was a long cycle back to Tavira, arriving back just as it was getting dark. Cycling out of the town to south, past the new, but unsightly market building you can take the ferry from Quatros Dos Aguas to the Ihla de Tavira. 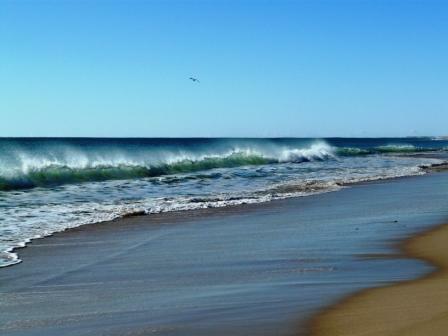 This massive sand bar forms a natural, tidal channel that runs between it and the coast. The channel provides shelter for the many fishing and pleasure boats that operate along the coast. During the summer, passenger ferries run from Tavira and from the Quatro-Aguas port, taking throngs of pleasure seeking holiday makers across to the Ihla. At this eastern end of the Ihla is a camping site for tents only, as well as restaurants, bars and a lifeguard controlled beach next to the small lighthouse at the tip of the river outlet. Walking west, the sand stretches for miles and very soon you can be away from the crowds with only the sound of the Atlantic rollers as they fight and jostle with each other to see who can get to the shore first. After a few kilometers you arrive at Baril Beach and the site of the old tuna processing plant, which is now a small development of bars, restaurants and beach huts. When the factory was operating it was common to catch shoals of tuna just off the beach. That has long since stopped and now there is a narrow gauge train, which for 1 euro will take you back across the sand bar at its widest point, to the foot bridge over the channel and at Pedras d’El Rei. 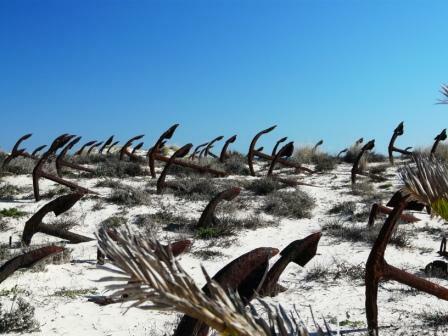 A legacy of the tuna fishing industry is the Anchor Graveyard at Baril Beach. Alternatively, if you continue along the beach you are bound to see the sunburned bodies of naturist sun bathers as they enjoy their remote solitude away from the insensitive intolerance of those who don’t understand. The walk to the end of the Ihla is long and you have to walk all the way back as there is no way off the Ihla at the far end. In the winter the bars, campsite and restaurants close down and there is only one ferry running, between the Ihla and Quatro-Aguas. At this time of year you can walk along the beach and be totally alone. 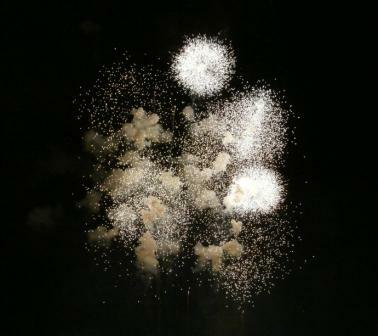 Christmas and New Year is a great time in Tavira, with many concerts and events. 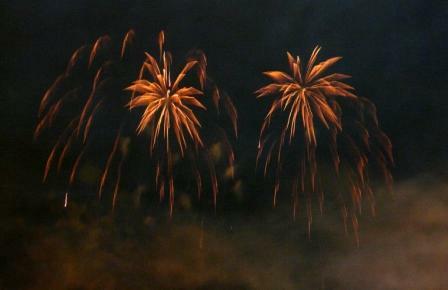 At midnight on New Year's Eve there is the most wonderful firework display on the old military bridge. The whole town comes out to watch and afterwards a rock band plays in the Placa de Republica. 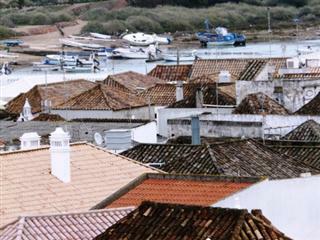 Link back from Tavira to our Time Out page.